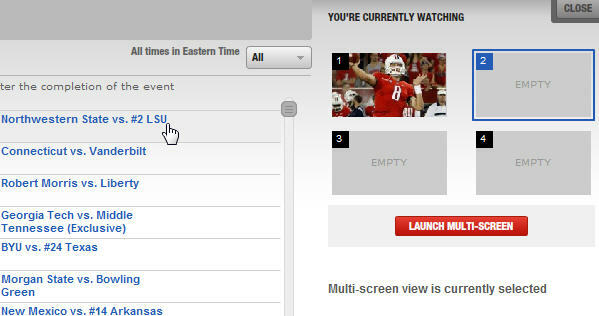 Looking for a way to watch loads of college football online this fall? 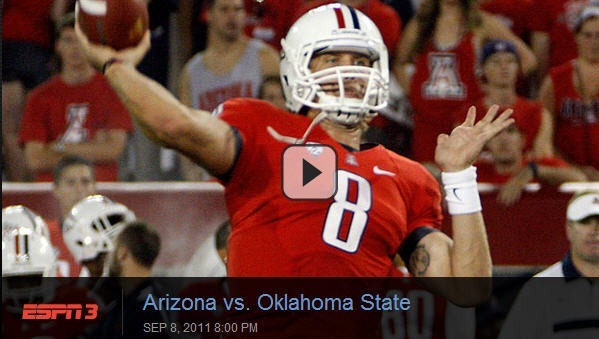 ESPN3.com is virtual treasure trove of live streaming sporting events, especially college football. Here’s how it works. 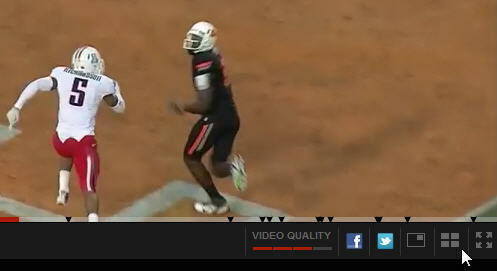 So, what exactly is this ESPN3? Originally known as ESPN360, and now part of WatchESPN.com, ESPN3 is the World Wide Leader’s website that streams live (and on-demand) broadcasts of sporting events online from around the world. And as long as your ISP carries ESPN3.com, you can watch it all for free. ESPN3.com is available through most, but not all, ISP’s. 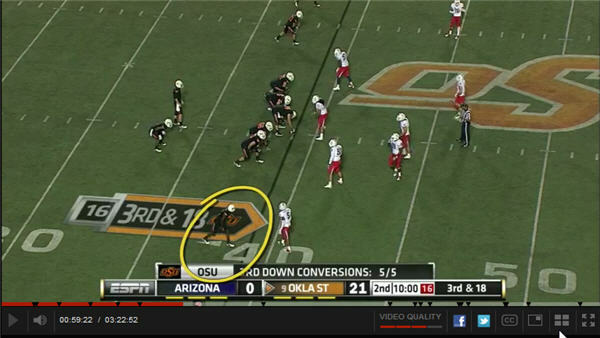 ESPN has to taken a different approach with its business model for ESPN3. It tries to be more like a cable TV network than a traditional website. ISPs have to pay a fee to ESPN3 to get access to the site, much like cable companies must pay a fee to carry channels like ESPN, NFL Network, etc. Most of the major players like Verizon, Comcast, AT&T have paid this fee to give their subscribers get access. So, if your ISP has paid this fee, you’ll get access. If you aren’t sure if ESPN3 is carried by your provider, you can check the list of ESPN3 participating partners. If you are a TV subscriber with Time Warner, Bright House Networks, or Verizon FIOS, you’ll also get online access to all the same ESPN Networks that you receive with your TV subscription. If you are a Verizon Broadband customer, you can also get ESPN3 on your iPhone or iPad, or on your Android phone with the WatchESPN mobile app. Ok, so you’ve got access to ESPN3 through your ISP. How exactly do you use it? First go to WatchESPN.com. If you are looking for games to watch on replay, click the day on which the game was played. Select your desired game and click. This will open the video player in a separate window. Your game will open and begin to play. If you show up a few minutes early you’ll get a message saying that the event will begin shortly. There are a few viewing mode options. Picture-in-Picture, Full screen, and the option to watch up to 4 games at once. After choosing the multi-screen viewing option, click one of the available boxes and choose another game. If you have decent bandwidth, the image is usually very crisp and clear. As bandwidth drops the image quality drops as well. Generally, we find the video quality to be good. You may also find some games with balckout restrictions. This generally occurs when a local TV network has exclusive right is the area. In those cases you will see a blackout link next to the game listing. Click on the link and it will produce a map of the viewing area and tell you if the game will be available in your area. « Is Online Streaming of NFL RedZone On the Way?